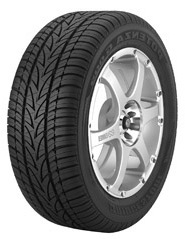 Bridgestone has accomplished the exceptional in this H-rated all-season high performance tire. The Potenza G006 with UNI-T delivers racing-inspired performance with all the precision and spirit that Potenza has long been famous for. Behind the sporty tread styling is the combination of a directional tread pattern and very sophisticated technology for. Behind the sporty tread styling is the combination of a directional tread pattern and very sophisticated technology designed to significantly improve traction in wet and snow. With a pleasing price, this tire is proof that you can have it all. Rounder overall tire shape provides better balance for wet and dry handling. This method improves handling in wet or dry conditions and reduces irregular treadwear by combining the ideal tread design, casing shape, materials, and construction.